NEW RZR TURBO S VELOCITY! 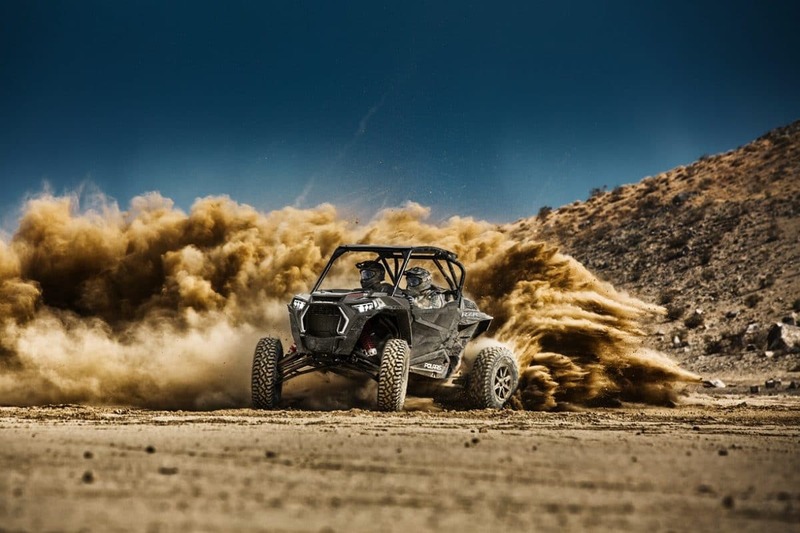 Polaris RZR®, the world’s #1 selling sports performance side-by-side lineup, introduced two new machines today with the 72-inch RZR XP® Turbo S Velocity and 72-inch RZR XP® 4 Turbo S Velocity. At $25,399 and $28,399, respectively, the new two- and four-seat Velocity models deliver an unmatched combination of performance and value amongst the 72-inch side-by-side segment. Like the performance-leading 72-inch RZR XP® Turbo S and 72-inch RZR XP® 4 Turbo S, the new Velocity models are built with stronger axles, high-clearance control arms, a three-times stronger drive system, a reinforced chassis and a more robust drivetrain with improved cooling; these machines are designed to dominate any terrain. 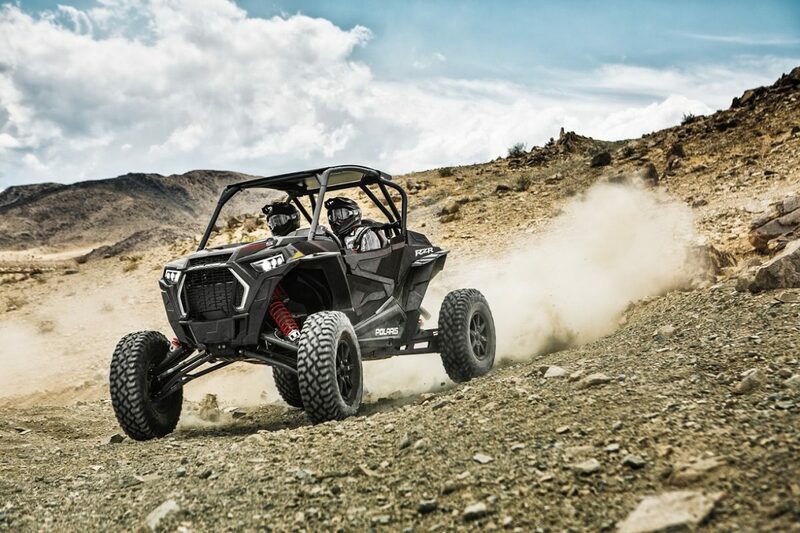 Additionally, the Velocity models maintain the same features of the RZR XP Turbo S that make it a beast – 168 horsepower, a 72- inch stance, 32-inch ITP Coyotes, 16 inches of ground clearance, and four-point harnesses. Each new model will feature race-ready 3.0-inch aluminum Walker Evans Velocity Shocks with high- and low-speed compression adjustment. Drivers will experience a plush ride through the small chop and increased stability through high-speed whoops. And, to create the best value within the 72-inch vehicle landscape, each Velocity model received a simplified fit and finish when compared with the premium offerings. 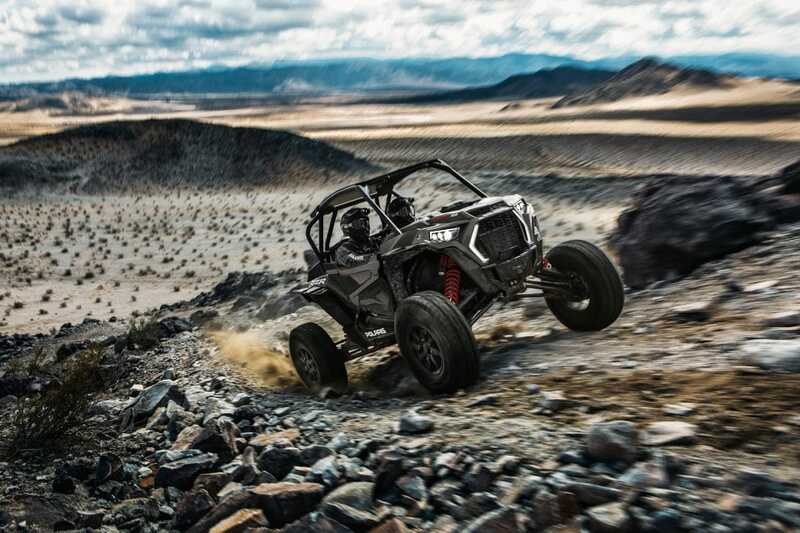 “We designed the Velocity models in response to drivers seeking the ultimate combination of performance and value,” said Kyle Duea, Vice President of ORV Marketing for Polaris Industries. “Along with this new offering, we’re excited to add an additional paint scheme to the current XP Turbo S and XP 4 Turbo S lineup for a wider range of styles and designs.” As is standard in all category-leading RZR models, Polaris pushed the limits of engineering when designing the Velocity models. 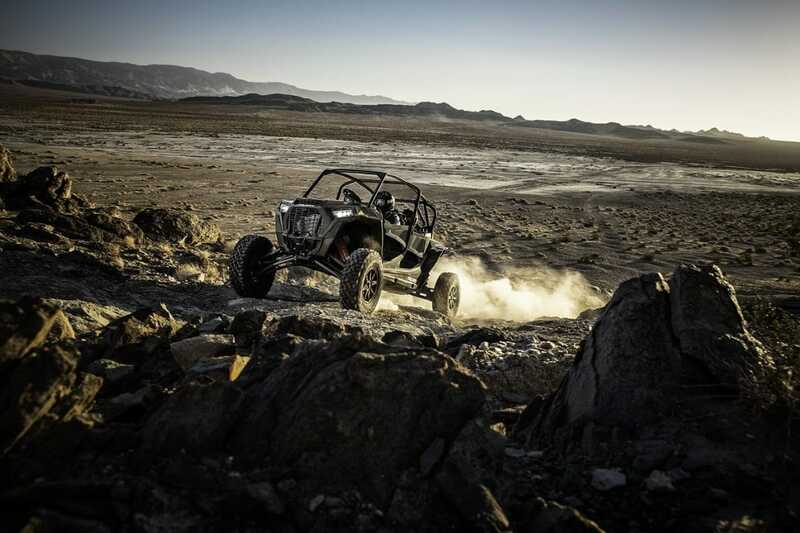 The result – high-performance vehicles capable of taking on the most demanding terrains at a higher value price point. 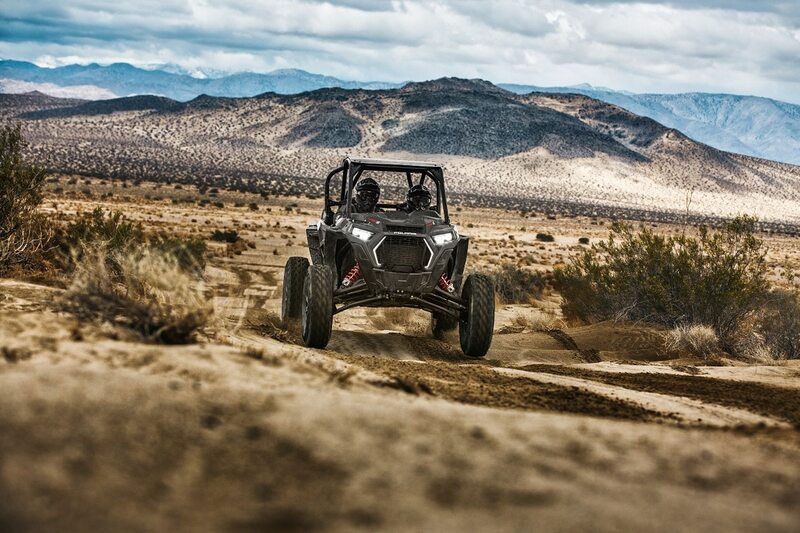 The RZR XP Turbo S Velocity models also feature 25 percent more assist in power steering and a better feel at high speeds. Additionally, each Velocity model keeps the driver focused on effortlessly maneuvering through the terrain, without forcing on the wheel. Recalibrated throttle mapping gives the driver more immediate and improved control, while the redesigned clutch box allows for better air flow and decreased belt temperatures. The new XP Turbo S Velocity and XP 4 Turbo S Velocity will be available in Titanium Metallic. The RZR XP Turbo S and XP 4 Turbo S in this new paint scheme, as well as both Velocity models, will begin shipping to Polaris dealers late January. XP Turbo S Velocity and XP 4 Turbo S Velocity will be available in Canadian dealers at $30,999 and $34,499, respectively.